Women are taking the racing scene by storm, and they not only race like nobody else, they look incredible! As a woman on the raceway, you want to be the most talked about and feared competitor out there. Nothing makes a bolder statement than a woman who wins in style. Check out some of the best motorcycle racing jersey options of the season! With racing slides, CE Force Tech protectors at both the elbows and shoulders, and CE Multitech knee protectors, the Spidi Women’s Poison Two-Piece Motorcycle Suit doesn’t sacrifice style for safety. Zipping the jacket to the pants ensures your speed won’t hinder your look. Just because you’re competitive and aggressive, doesn’t mean you don’t deserve the highest in comfort on the raceway. With the comfort of stretchable fabric panels on the chest, crotch and sleeves, women can let loose and really show their competitors what they’re made of. With reinforced textured material at the knees, female riders can really get a grip. The Women’s Stella Motegi 2 Piece Leather Suit by Alpinestar is fully optimized for female curves as they’re making curves around the track. Aerodynamic sculpting offers high performance and air flow at the highest speeds. 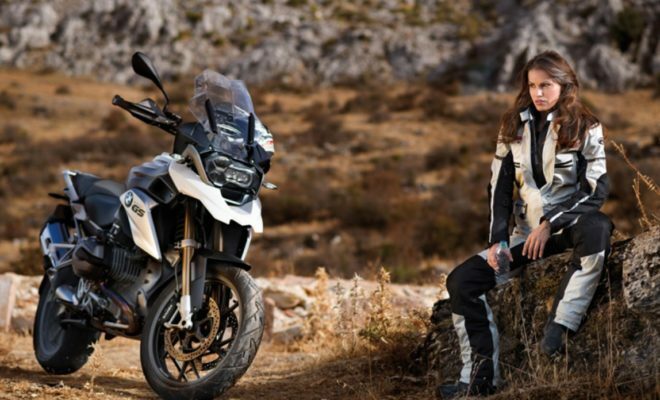 Putting the female figure at the forefront of the design process, Alpinestar does it again with quality motorcycle jackets and their Stella Missile Suit! Nothing is spared in this comfortable, stylish, anatomical suit that comes complete with Tech-Air® airbag compatibility. The perforated cooling zones in the Dainese Laguna Seca 4 Perforated Women’s Race Suit aren’t just to make you look cool. They’ll cool your body as you race down the track. Placing comfort where women want it most, Pro-Shape protectors keep you looking hip. Every woman wants to look her best on race day to upset her competition as she soars past. Check out some of this year’s best racing suits for women today!